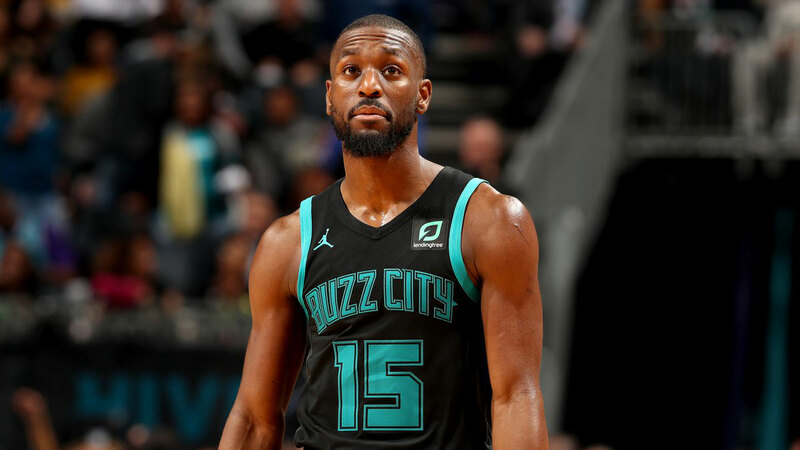 Two days after his career-high 60 points went for naught in a loss to the Philadelphia 76ers, Kemba Walker wasn't about to let this one slip away with another huge performance. On Tuesday, the two-time NBA All-Star played the lucky leprechaun and scattered 43 markers, (on 14-of-25 shooting, including 7-of-13 from deep and 8-of-9 from the line), four rebounds, and five assists, to will the Charlotte Hornets to a 117-112 comeback win over Kyrie Irving (27 pts 11 ast) and the Boston Celtics. That gives Walker 103 points in his last two games, and the title of the league's new scoring leader (then Stephen Curry) with 29.6 per game. He also eclipsed the injured Golden State Warriors guard in made three-pointers with 65. As for the Hornets, they are now 8-8 on the season and the eighth seed in the (L)Eastern Conference. "I just wanted to win, man," Walker was quoted by ESPN. "I wanted to win a close game. We've been in every game for the most part. There's a couple we haven't been in but you know things just haven't been going our way in those situations and tonight it did and it felt good." While most of his fellow point guards in the East have been All-Star shoo-ins (Irving 5x, John Wall 5x, Kyle Lowry 4x, etc.) in recent years, the 6'1" franchise cornerstone has been often overlooked because he's part of a mediocre Charlotte squad. Case in point: versus the Sixers, Walker shot 21-34 for 60, against 59 on 21-65 from the rest of his team. In his seven years with his maiden team, Walker has been surrounded by a clueless owner (Michael Jordan), washed-up veterans (Al Jefferson, Nicolas Batum), and underwhelming prospects (Cody Zeller, Frank Kaminsky). This season, the organization hopes to turn things around with general manager Mitch Kupchack, head coach James Borrego, and five-time champion Tony Parker. As for the dynamic floor general, he seems determined to shed the underrated tag—the Celtics learned the hard way when Walker dropped 21 points in the fourth quarter to overcome a double-digit lead. Whether it's the Hornets giving him a supermax ($189 million over five years) or letting him go for greener pastures, the man deserves only the best in his prime.